For making a hugely extravagant $ 260 million punt on India cricket that blindsided the competition. With this, Zee Telefilms CMD Subhash Chandra announced to the world that this time he would not be denied in his intent to get into one area of the broadcast space that he had been denied so far. And if we keep referring to $ 260 million, which was the first bid put in by Zee for the India rights (still $30 million higher than rival ESPN Star Sports $ 230 million) there is a reason. It is because while the maverick media baron may have finally committed to paying a humungous $308 million (plus $ 21 million for the development of domestic cricket), there is no doubt in anyone's mind that Chandra would have legally challenged the extra $48 million in due course. Still, when it comes to making big punts, there are few better at the game than the beedi-smoking, goateed CMD of Zee Telefilms. And he has everything to win and nothing to lose from this gamble. Whatever happens, one cannot envisage Zee going below the number three position in the pecking order that it currently occupies. Chandra has been trying for some years to help Zee regain lost glory but has failed. Cricket could well give him that chance. 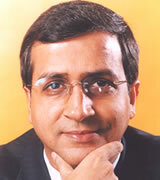 And if he does succeed in getting onto the cricket bandwagon, one man who will be charged with the responsibility of monetizing the property would be Pradeep Guha, the Times Group's former advertising head honcho and president who joins Zee on 15 January. Guha's hiring is arguably the most significant executive hiring in the industry in 2004. And is just another statement of Chandra's serious intent to get his network back into the reckoning big time. For a whole host of regulatory diktats that may have thrown the broadcast industry into turmoil in the short run, but which laid the groundwork for discipline and order coming into an industry that has not seen much of either. With new content delivery platforms like DTH and IPTV and the slow move towards an addressable regime, no one can argue with conviction that a regulatory framework is not needed. The BIG IF in all this is how will this whole process be managed in a manner that does not restrict the industry's growth? As a broadcast and cable regulator, he may not be considered close to the present I&B minister Jaipal Reddy, who has his own ideas on regulation, but Baijal has made sure that Trai is kept in the news. He started 2004 by freezing cable prices and ended the year with okaying a minor hike. In both cases, he attracted criticism. "It's okay by me when people, especially the industry, criticise me. I am here to see that things run smoothly and that consumers don't get fleeced," is his riposte to critics. That Baijal and Trai will see more controversies in 2005 is a given if ever there was one. For managing cricket matters in favour of national broadcaster Doordarshan. If one were to point to one thing that that DD achieved in 2004 that was worth crowing about, it was on the cricket telecast front. If the year began with Sarma in a face-off with Ten Sports on the telecast of the historic Indo-Pak cricket series in Pakistan, it ended with DD coming up trumps against ESPN Star Sports in a similar wrangle involving an Indian test team visit to lowly Bangladesh. If India finally ends up with a downlink policy that would make it mandatory for certain listed events to be made available to DD and AIR, irrespective of who holds the telecast rights, Sarma will have had a big role to play in it happening. If the face-off with Ten Sports, still pending a final verdict from the Supreme Court, put Sarma in the spotlight for "all the wrong reasons", what no one can crib about is the fact that the much-touted DD Direct Plus, a free DTH service, also got off the ground in 2004. No wonder Sarma exults, "We can actually look back on 2004 with satisfaction. 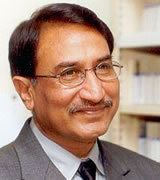 The DTH service is certainly a big thing for Prasar Bharati despite the media being very critical of it." For continuing to rule the roast in South India. For not being content with just that and announcing that he has set his sights on new terrain: first Bengal with his Bangla channel and next possibly other lingusitic states, including the mass Hindi belt. Hedging his risk, he signed a $25 million joint venture with Malaysia's Astro All Asia Network to pan out his expansion. The JV will originate, aggregate and distribute television programming and channels for a global audience. Unchallenged as the the southern TV market big boss, Maran aims to create content for filmed and other entertainment products in Indian languages including Tamil, Telugu, Kannada, Malayalam, Hindi and Bengali for distribution to international markets. He will also use the JV to develop a Tamil language channel for distribution on the Astro direct-to-home (DTH) satellite multi-channel television platform in Malaysia and other South East Asian markets. The Bangla channel will launch in April and will be distributed in India, South East Asia and other markets within the Bengali diaspora. Maran has won the battle on his home turf. He has now set himself the target to win the game outside, both internationally and domestically. 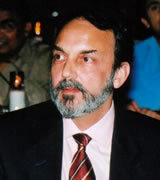 For taking NDTV India into a clear and undisputed second rung position behind leader Aaj Tak in the Hindi news space and successfully taking the company he and wife Radhika founded in 1988 public with a Rs 1 billion IPO. The issue, which opened on 21 April, was oversubscribed 36 plus times when it closed on 28 April. That Aaj Tak's English sibling Headlines Today is not seen as being of any threat to NDTV 24x7 despite its best efforts is also a statement to the kind of equity and positioning the channel enjoys in the market, which is not just about ratings. And if Aaj Tak is credited with the first big expansion of the news channel market via its tapping of the retail advertiser, the NDTV channels could well be said to have led the second expansion of this genre to its current Rs 5 billion size. The man's tenacity cannot be faulted. Nor his quest for perfection, well exemplified in the launch of NDTV's news channels and now the business channel Profit (launching 17 January), which might have got on air earlier if others had had their way. For the killing his channel made on ad sales from the historic match-up between India and arch rivals Pakistan. The Rs 1.15 billion that Ten pulled in through ad sales was the highlight in what has been a good year for the Dubai-based sportscaster if one discounts distribution from the calculations. Ten renewed its rights to Sri Lanka cricket for $50 million. With the signing of the deal, Ten now holds cricket telecast rights for Sri Lanka, Pakistan, West Indies, as well as the rights to Sharjah and Morocco cricket. And the luck of the draw also seemed to fall Ten's way on more than one occasion during the course of the year. None more so than the fortuitous manner in which it secured from national broadcaster DD the contract to produce the telecast for two international fixtures recently played in the country. It got the production contract as well as the South Asia (excluding India) telecast rights, all of which came as a bonus for the channel. In hockey too, the Champions League in Pakistan (for which Ten has the rights) saw India participating as a replacement for Australia which pulled out citing security threats. In terms of repercussions for the rest of the media industry though, there is the case in the Supreme Court awaiting a judgment around Ten being forced to share its feed with DD for the India-Pakistan cricket series. The outcome of this very critical case could well have a bearing on the very future of sports broadcast in India. For keeping the Star juggernaut going. And it was not just about tweaking shows on flagship Star Plus. Nair launched two channels in the course of the year, the free-to-air re-run channel Star Utsav launched in the first half of the year and the metro-centric Star One in the second half. 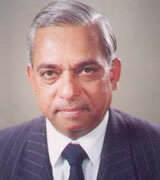 However, it was Star One really that was critical to Nair's action plan set forth at the beginning of the year. "We are looking at targeting new growth areas, a new push for ad sales and doing additional things like looking at launching new channels," was what he told indiantelevision.com at the beginning of 2004. The verdict is still out on Star One though. While its programming has been appreciated, and it is delivering reasonable ratings, it has still to do what it was originally conceived for - flank out the opposition. And in Star One's case that opposition is clearly Sony Entertainment. And that Star One has not been able to do thus far. But as Nair said in a recent interview, "These are early days yet, but I think that this is a kind of channel and programming that will grow over a period of time." All things considered, the man who "at an operating level, runs pretty much most things at Star" would probably view the year as having been a mixed bag. Which should offer some hope for rivals Sony and Zee in 2005. For putting his all on the line in a make or break gamble on musical talent hunt reality show Indian Idol. How Katial managed to swipe the show from right under Star's nose as it were, is a tale in itself. As the year ended the worldwide hit format was performing as per Sony's expectations and making Star sit up and take note. What this also meant was that for the second year running, it was a Sony show that garnered the maximum brand recall on Hindi entertainment television. 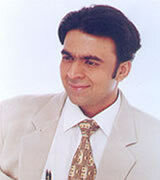 In 2003, it was Jassi Jaissi Koi Nahin and in 2004, Indian Idol. The reality format will continue to be a key programming proposition for Katial in 2005 as well with as many as six shows planned in the course of the year is what the industry grapevine tells indiantelevision.com. The first off the blocks in the New Year will be Dance Dance, which is ready for launch. Katial's next big test however, will probably come when the show that is scheduled to replace Jassi (another adaptation) in March-April, debuts on the channel. For making the big leap to Walt Disney to head its diversified operations in India. Contending for that coveted crown were Sunil Lulla from Sony and Alex Kuruvilla from MTV, among others. What stood in his favour was the way he widened the audience base for the ICC Cricket World Cup with an extended band of programming before and after the match to lure female audiences. Sony managed to push its distribution and advertising revenues on the back of not only the live cricket telecast but also cashed in on Mandira Bedi who stood out on a show called Extraa Innings. 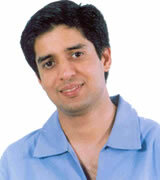 Jain launched the two Walt Disney channels in December 2004, soon after Star struck a distribution deal. So far, it has been a low key affair with distribution being the main focus. The channels will have to find a way on cable networks before Disney opens its purse and starts spending heavily on advertising. Slow and steady growth seems to be the approach. Jain does not want to rush things by paying carriage fees to cable networks, a precedent he feels will do more damage in the long run. 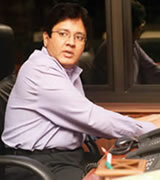 Jain has the opportunity to prove that he can weave the Disney magic among Indian audiences. He needs to be given time to tell us how the final story will evolve in India. For daring to take on the might of well-entrenched global players in the kids genre with Hungama TV. He defied the law of gravity and drew up a programming lineup which focussed on live action rather than animation. His other innovation included using kids as a research input for shaping up the channel's content. He put kids on the creative board to decide on the kind of programming that should go into the channel. Hungama TV has garnered five per cent audience share in the kids genre within just three months of launch, running ahead of Animax and Nickelodeon. 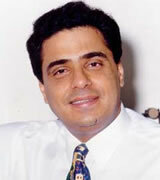 Screwvala promised to take UTV public, but the initial public offering (IPO) never took off. He sold UTV's stake in Vijay TV to Star Group, cleaning up the losses that his company incurred from the broadcasting business. Perhaps, he will be less cautious this year and finally manage to see through UTV's IPO for raising resources to expand his content and broadcasting business. For continuing to reign as the Queen of Soaps in Indian television. 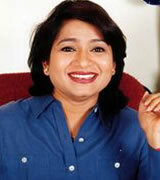 Her shows on Star Plus dominated the ratings and Balaji Telefilms remained the top production house in India. Kyunki Saas Bhi Kabhi Bahu Thi, Kahaani Ghar Ghar Kii and Kasautii Zindagi Kaysustained their dream run for the fourth year with new twists and turns. Her experiment with thriller genres met with limited success. No surprise that Star Group found Balaji Telefilms a lucrative catch and invested Rs 1.23 billion for a 21 per cent stake in the company. Confirming this strong confidence on Balaji Telefilms was Star Group CEO Michelle Guthrie, who was quoted in a recent interview to World Screen News as saying: "The people at Balaji are so focussed, with their attention to detail and quality. We've worked together for four years already, but I think going forward it's going to be pretty extraordinary what we can do together." How the script of Balaji Telefilms' growth with Star as an equity partner unfolds this year could well be the production house tale of 2005. For goading Zee News, a laggard in the news genre, into becoming a competitive force. If Zee News has started showing signs of recapturing lost glory of late --- some heavily criticised stunts here and there, notwithstanding --- credit should go to Laxmi N. Goel, head of Zee News and one of the four younger brothers of media czar Subhash Chandra. After professionals like Rajat Sharma and Deepak Shourie opted out of Zee News, Chandra picked Goel to steer the fortunes of the news channel, a strategy that critics (with some justification) said had more to do with nepotism than a clear business thought process. But hey? Goel has justified his elder brother's faith in him. With no prior experience in television or B school credentials, Goel's mantra is simple: keep your ears close to the ground and listen carefully to what the viewer is trying to tell you. Heed that advice. Though Aaj Tak is the market leader amongst Hindi news channels and NDTV India has emerged as a strong No. 2, Zee News goes on unfazed with a belief that numbers game is best left to the ad sales team and the editorial should work to the best of its ability --- and Laxmiji, as he is popularly known, uses streetwise sense to guide a business that has floundered over the years. 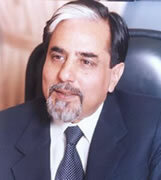 For rejuvenated Zee Cinema and making events a key proposition for Subhash Chandra's network. A mighty warrior in the cable TV industry, Yogesh Radhakrishnan was able to make his impact felt on the other front of the business. He rejuvenated Zee Cinema, by changing the packaging and graphics of the channel to give it a more contemporary and modern look. "What we have done is to polish an already existing diamond," he says. He took Zee Music up the scales, giving the channel a facelift. But having lost credibility with several re-launches in the past, the revamp under Radhakrishnan did not quite change the status of the channel; it continues to compete feebly against MTV, Channel V and its sister channel ETC. 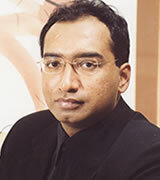 Radhakrishnan, however, energised the Zee Cine Awards by shifting the award ceremony to Dubai, ferrying planeloads of Bollywood's best to the desert city, and injecting interesting creative into the event. The net outcome: the Zee Cine Awards which were languishing behind properties like the Filmfare Awards are today considered awards worth their weight in gold. He is now based in Dubai to handle Zee's expansion in the Middle East. An entrepreneur to the core, he also runs, along with his old mates Jagjit Kohli and Yogesh Shah, Pacenet, a company in broadband play. For not only bagging lucrative programming contracts for her company BAG Films, but also launching a media institute situated on a swanky campus in Noida on the outskirts of Delhi to impart much needed training in television and media. For a person who began as a trainee in the now defunct TV wing of the Press Trust of India slightly over a decade back, Ms Prasad hasn't done too badly. Notwithstanding the fact that she is former I&B minister Ravi Shankar Prasad's younger sister and wife of Congress Member of Parliament Rajiv Shukla, Prasad's success story has got a lot to do with a can-do attitude. Just before the general elections when Star News gave her a big show on rural India, few thought she would be able to jazz up rural programming, while carpers claimed her contacts got her the deal. Awards for BAG-produced Haqeeqat on Sahara One proves it's not a flash in the pan and the good ratings that Kumkum has got on Star Plus in the afternoon highlights serious work is being put in by BAG Films across a range of programming genres. Year 2004 has actually seen BAG Films emerge as a serious supplier of TV content, breaking the stranglehold Mumbai-based houses working on an assembly line production mode have had long enjoyed. For expanding TV-18's activities into other markets, apart from South Asia, with the launch of South Asia World (SAW) in the US. SAW's next stop - the UK. The unnamed investors who have bankrolled the venture is proof positive that critics who had said that TV-18 does not have the adequate strength to expand beyond what it was already doing were way off the mark. But that could also be because Bahl loves work and shuns unnecessary publicity almost to a point that can make the media think he's reclusive. Bahl does not mince any words when he says that the company was earlier in a consolidation phase after having managed to lay a strong foundation. So to hell with the critics (there are many) and stock market analysts who think there is not enough action happening in and outside the company for the TV-18 scrip to become the darling of the markets. A time for that will also come too. As India's first business news broadcaster and a leading media content provider, Television Eighteen does seem to have put bad patches and experiences behind it. 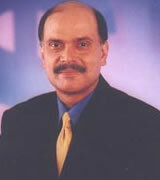 2004 was also a time for preparing the way for the Hindi business channel, Awaaz, which has just launched. So Bahl has lots to look forward to in 2005. For putting his stamp of authority on Star News and planning launch of a Bengali news channel on his home turf Kolkata. The exit of the high profile Ravina Kohli and the installation of Uday Shankar as head only goes to prove how the suave bhadralok has clawed his way into total control of operations. Sarkar is not going to play puppet to Rupert Murdoch, particularly when he is sheltered by a government regulation that foreign holding in news channels can't go beyond 26 per cent. Sarkar's increasing control clearly did not please Kohli. In a media interview, she lashed out against Sarkar. But that did not change anything. Quickly, Star News changed from a high-cost to a cost-effective style of operations. And bureaus were trimmed, wherever necessary. 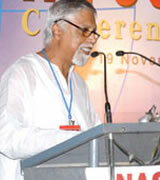 Sarkar will hope his regional language news channel will leverage from his strong print presence in West Bengal. His road to expansion with Murdoch as a joint venture partner will be carved out this year. For having the audacity (some would say temerity) to launch a seventh Hindi news channel India TV in an already crowded space, taking on established players that were themselves fighting tooth and nail to stay in the race. Managing the transition from producer to broadcaster (he started out as a TV anchor) is no small achievement. For a man who has risen from living in a one-room tenement along with his parents and other siblings to a posh pad in the Capital's upmarket Pomposh Enclave in South Delhi and rubbing shoulders with the who's who of the country, Sharma, the print medium journalist-turned-TV personality, has certainly come a long way. Coupled with a wide network of reporters, state-of-the-art infrastructure and a late-year exclusive content agreement with the controversial Arabic-language Al Jazeera, India TV still holds on to its aim to storm into Aaj Tak and NDTV India's bastions. All these efforts definitely got India TV wah-wahs and some ratings too, but Sharma still has a ways to go to make that big leap to being a serious contender for the media planner's attention. For being elevated as SET India chief operating officer, a post unoccupied for over three years after the exit of Rajesh Pant in a restructuring exercise. He was made head of Max in addition to his old role of chief financial officer before he got the plum position of being second in charge after Kunal Dasgupta. 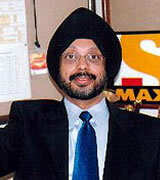 Max overtook leader Zee Cinema during his time, buoyed by marketing initiatives and bigger movies. But it was a temporary arrangement to fill in the gap after Rajat Jain quit to head Walt Disney. Singh's new position comes at a time when Sony is also venturing into new areas of expansion like digital and licensing business to exploit new revenue streams. Broadcasters are eyeing cash flows from mobile and wireless, publishing and licensing. New content-delivery platforms like direct-to-home (DTH) and IPTV are also emerging. 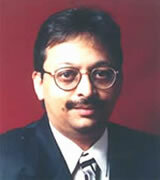 In this growth period, Sony needs an operational head which will allow Dasgupta to develop business growth areas. Singh, however, is expected to play a bigger role when SET India finally decides to go for an initial public offering (IPO). 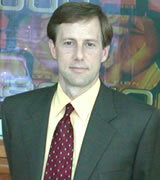 For making the switch to full time television after a career spanning three decades in print. The former Times Group advertising head honcho and president (his last working day was Wednesday, 12 January) is joining Zee Telefilms as its new chief executive from 15 January. 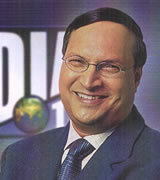 The news of his exit from Times after 28 years, first broken by indiantelevision.com, is arguably the most significant executive hiring in the industry in 2004. That Guha should round off this Top 20 list is an indication of the personal equity he has in the industry. As also the sheer weight of expectations he carries with him to Zee going forward into 2005. 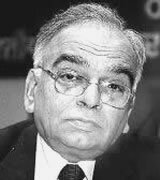 His long exprience in reviving moribund properties such as Femina Miss India and the Filmfare Awards into snazzy-must-watch TV events and his involvement in the Khalid Mohammed directed film Fida will provide him the all round perspective needed to drive Zee TV back to its glory days.